A few spots still available in Summer Camp! Some camps are now full, but a couple still have space. 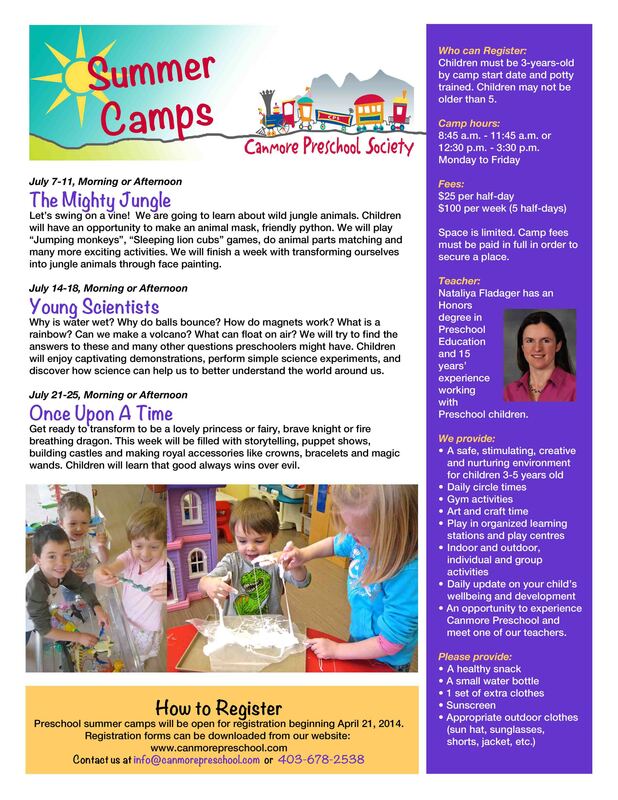 Call the office at 403-678-2538 to sign up for one of these fantastic summer explorations. All potty-trained 3 to 5 year olds are welcome. Prospective preschoolers are encouraged to come get a taste of our wonderful programs! Previous Post2014 Summer Camp registration begins in AprilNext PostStill need to register your child for 2014-2015?